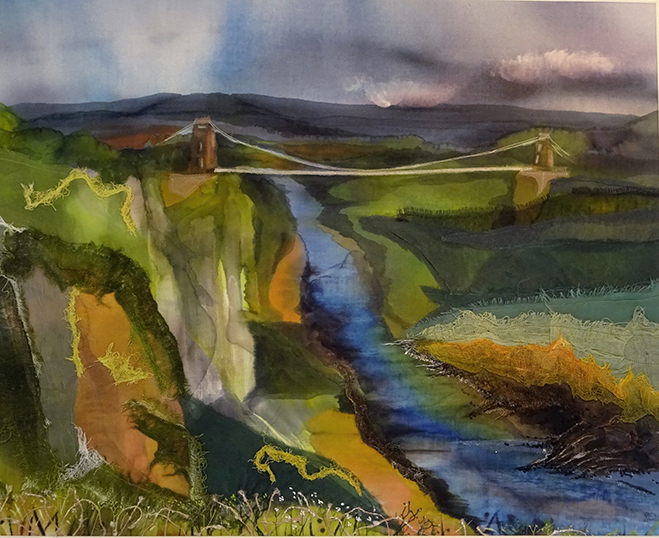 Susie Ramsay is an artist based in Bristol, UK. 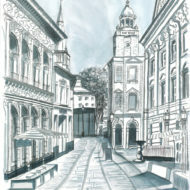 Specialising in landscape and city scenes in a variety of mediums, depending on the subject matter and the requirement of the piece. 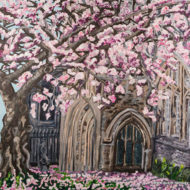 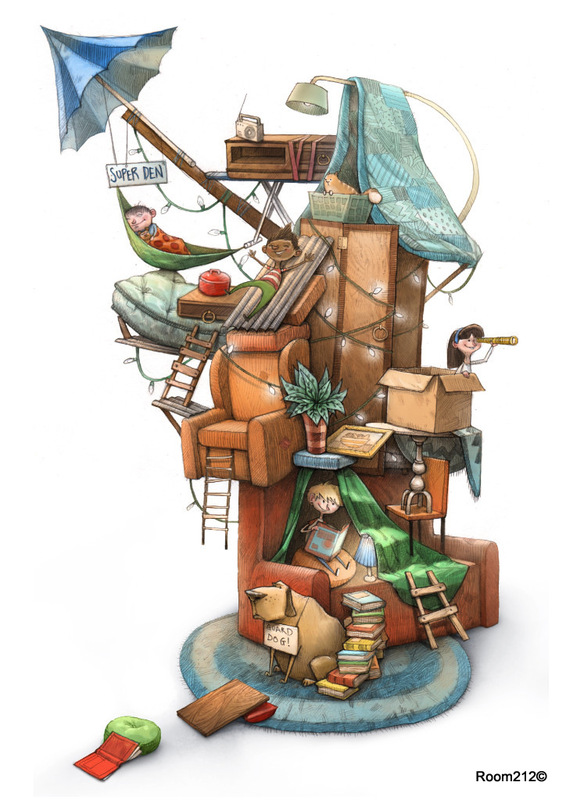 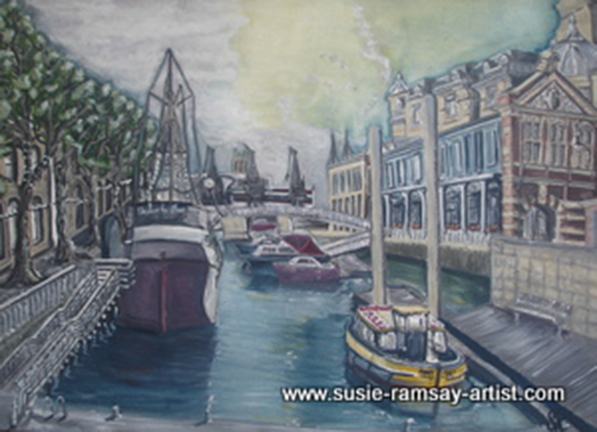 Susie’s work ranges from 40″ x 50″ oil canvases to 6″ x 4″ pen and ink drawings. 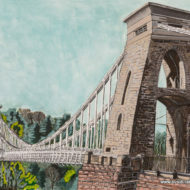 Working both on location and from her studio in Clifton, Susie is passionate about recreating the light and colour of her chosen scenes. 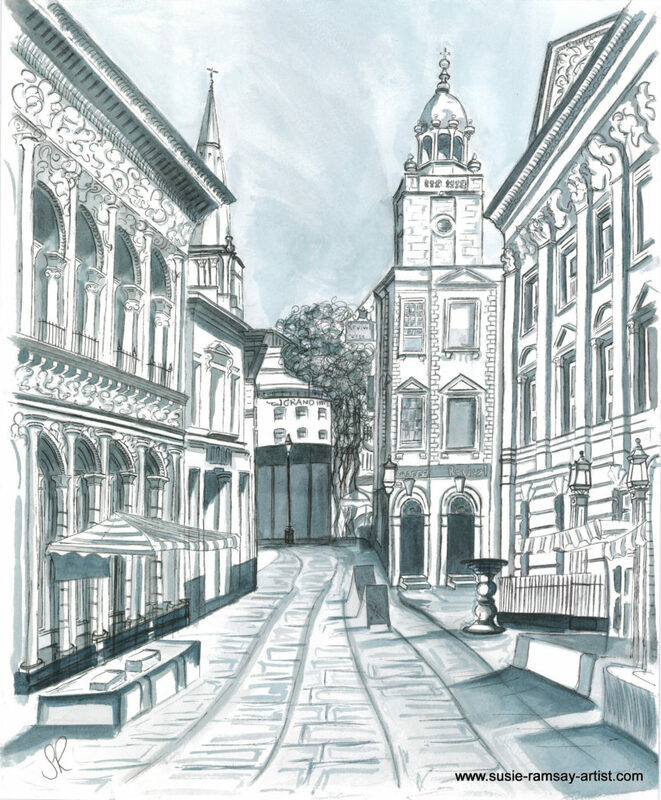 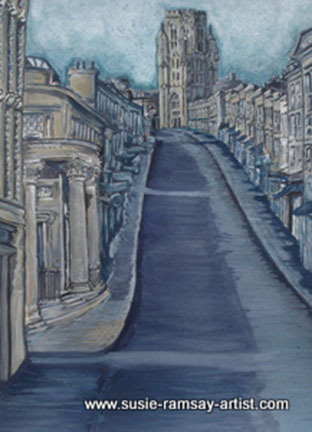 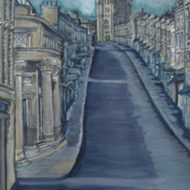 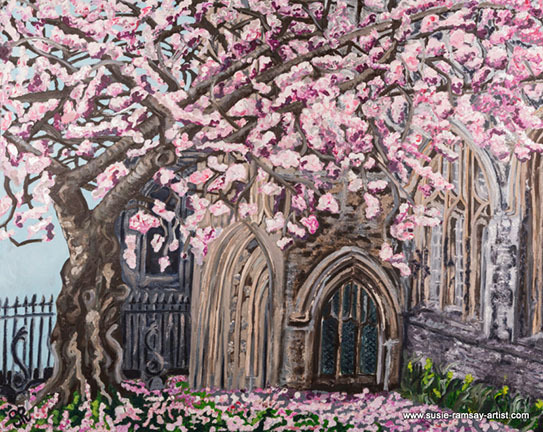 Susie has been concentrating on painting Bristol scenes and has produced a Bristol Winter and Spring series, including paintings of Bristol Harbourside, Park Street, Clifton Suspension Bridge and St Stephen’s Church. 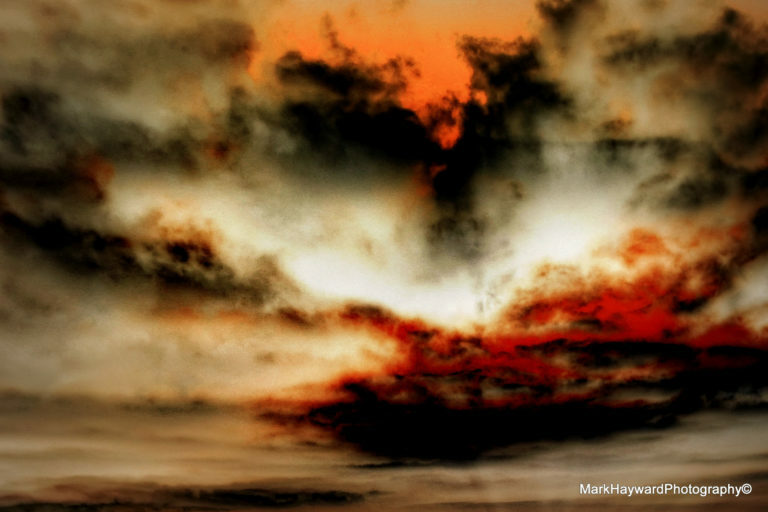 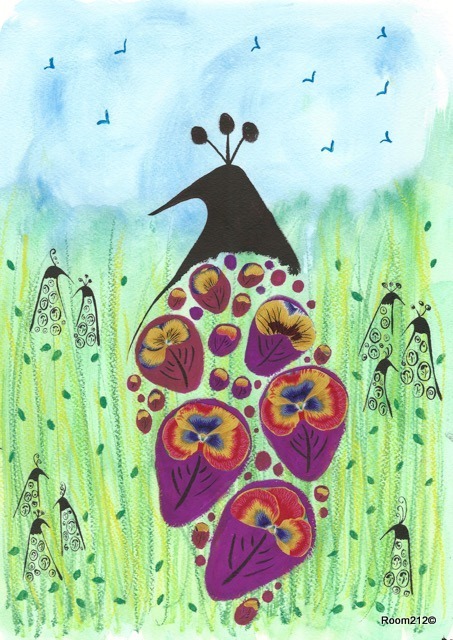 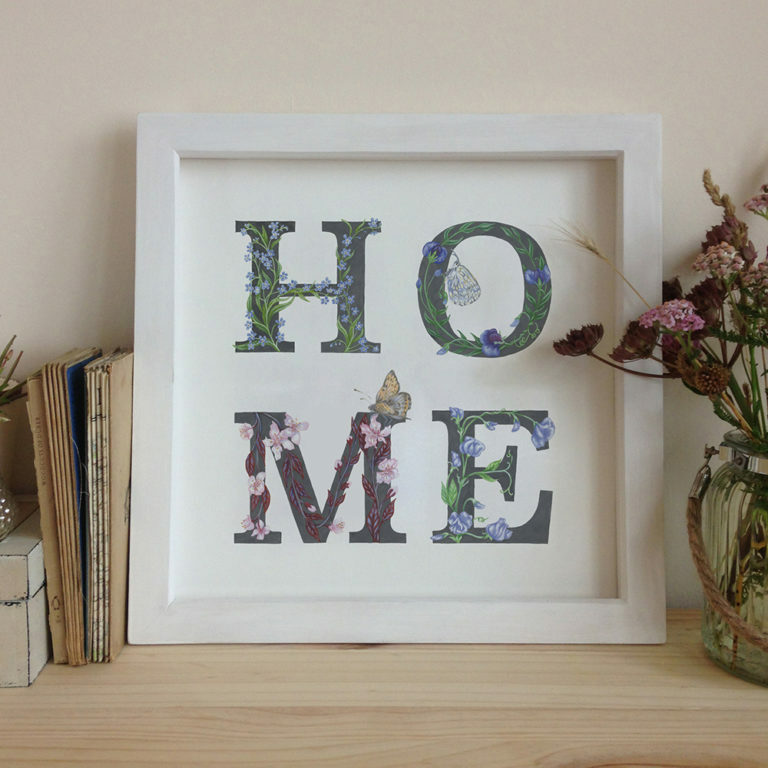 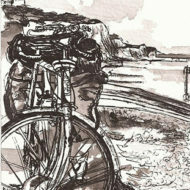 All limited edition giclee prints are hand finished by Susie in order to bring the prints alive. 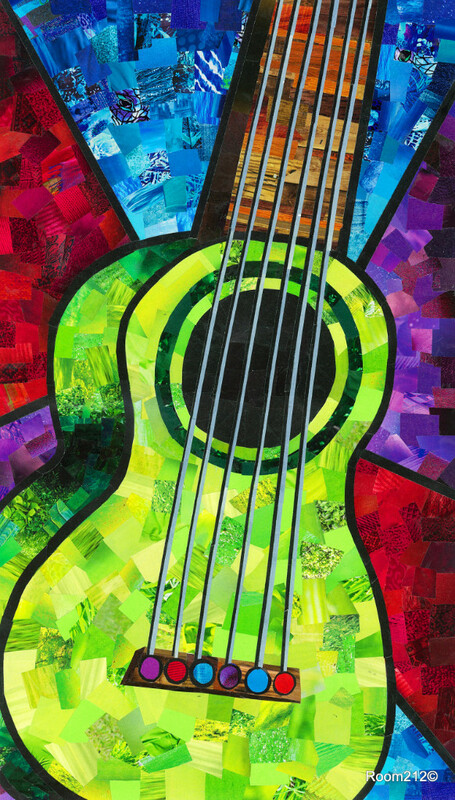 These provide the customer with a unique art work. 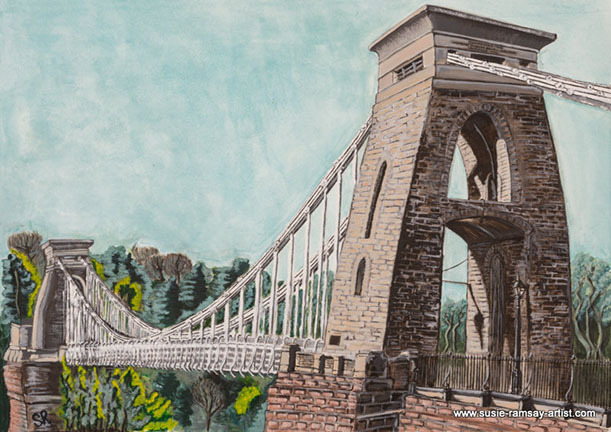 A4 mounted limited edition prints of the Bristol Spring series, plus greeting cards are available to purchase at Room 212. 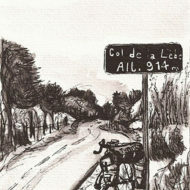 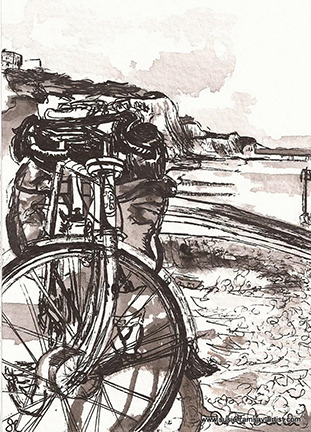 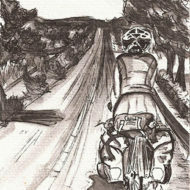 Her latest exhibition – ‘Postcards from the road – sketches from Bristol to Brindisi’ was held at the Roll for the Soul cafe this brought together 45 pen and ink drawings of her 3,000 kilometres cycle trip from Bristol to Brindisi. 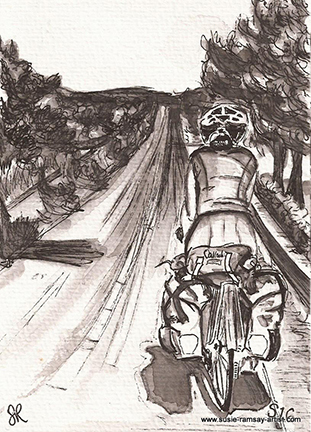 One sketch for every day of her trip. 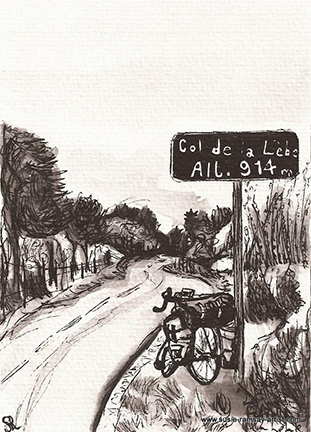 Eight 7” x 5” prints from this series and a gift-box set of 8 fine-art postcards are available to purchase from Room 212 and will form part of Room 212’s July Re(cycle) theme. 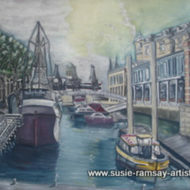 Susie is available to undertake public and private commissions, please contact her for to discuss your requirements.